FIFA 17 Using the Frostbite Engine - Madden, NHL & NBA Within the Next Few Years? According to GameInformer and their multiple sources, EA Sports and the FIFA franchise are transitioning from the Ignite engine to the Frostbite engine, with the Madden, NHL and NBA franchises making the move within the next few years. As most of you already know, Rory McIlroy PGA Tour was the first EA Sports game to utilize the Frostbite engine. We will likely hear something more official, leading into the EA press conference, scheduled on June 12. Until then, let us know what you think. Read more about the Frostbite engine at the official site. The entire world is alive in Frostbite games, immersing players into deep and dynamic worlds with always changing wind, water, and weather. For many years, our developers have pursued realistic visuals. We have defined industry-leading visual standards by simulating real-world lighting conditions and depth of field characteristics. The next step for us has the pursuit of realism beyond static visuals. Dynamic behaviors over time are key to immersion and believable worlds. In our games, players will notice subtle movements in the world around them driven by changes in weather. Prepare for the next level of realism, driven by Frostbite technology! Man they hyped ignite so hard and it only lasted like 5 years. Will they still be able to share tech between games using frostbite? FIFA needs more than a new engine. So this means what for FIFA exactly? I'm not too familiar with the differences between the Frostbite engine and Ignite. I take it Frostbite is better somehow?? Ignite was supposed to be the next big innovation in sports gaming a few short years ago. So, what engine did they use for the player models in Rory, because they are nothing special? The courses look great but, most people who criticize FIFA"s graphics are most concerned about player lifelike appearance or lack thereof. You think they are different in Rory? Hope the game doesn't end up hollowed out like Battlefront (like the mention in the article). I wonder how long they've been working on the transition. The ignite engine from what I understood, was just a way that developers could share assets across the games. So If Fifa made 400 hundred new crowed animations, Madden and NHL ect could also easily import those into their game instead of having to do their own crowed animation individually for every game. So really if all the franchise switch to frostbite it really won't change anything because you still will be able to transition one asset to one game to the other. The reason the ignite engine was hyped was because all of EA series in pass generation would be working on different engines so to take the crowed example again, every game would have to individually put time and effort in making animations and such instead of Fifa marking it and letting the smaller teams (like NHL) borrow the assets. Now that we are farther down the road with these new consoles, the ignite engine isn't as beneficial(as more features are more series specific now), and the frostbite is a very good engine. My fear exactly. In any case, if this info is true, expect that to be the main upgrade we will get for 17 and little more. If PES can get their act together with fouls and editing again, I may go back over to them. Good questions. I also thought, that Ignite Engine is supposed to be the Engine for sports gaming in the next few years. Anyway, it just a rumor at the moment. And I think its not true, because of the fact that Ignine Engine is fresh for the EA Sports Games at the moment. So does this mean they have to record all these animations again? This would be a lot of work. 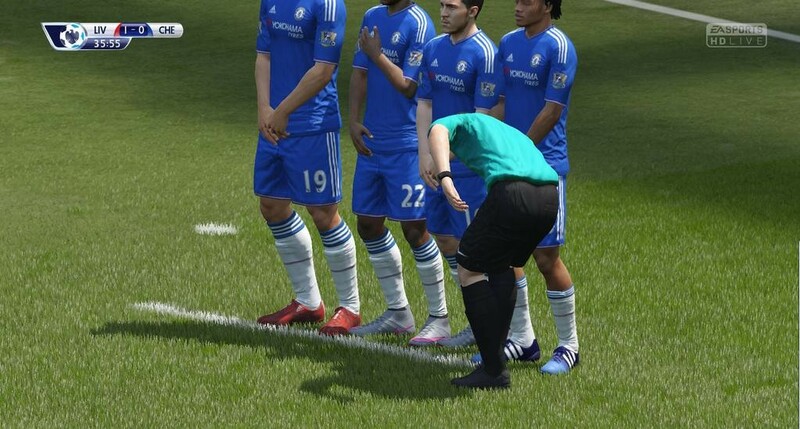 It took years to get to the amount of animations we had in FIFA 16. Or is it possible to take animations from one engine to another? This would be great, because I think visually the Frostbite engine is the most beautiful engine right now. Better looking than Overwatch? I beg to differ, with all due respect of course. Either way, sounds like an upgrade so that can't be bad. Well, it sounds like they're doing SOMEthing to try and improve the game. I certainly have no problem with that. Hope it works out! I was wondering, what will this do to Madden? So having it made on Frostbite instead of Ignite, will that change much (and what would it change)? I don't buy games every year, I've been playing NBA 2K16 a lot and will keep playing it for a couple more years. But I was thinking about getting a new Football and Hockey game in the next year or 2 since I haven't gotten them since I got a Xone. Should I wait on at least 1 for them to be on Frostbite, or will this not change much? Check this forum out. Madden looks good this year, but here is the same discussion as this one only with a Madden focus. Fair enough. I remembered it looking really choppy, but I guess I just have a bad taste in my mouth from the god awful gameplay. Not sure I've ever been more disappointed in a game than that one. Interesting. A few years ago when Battlefield 3 launched, i remembered reading an article that it was using EA Sports' "ANT" animation tech, that was essentially it's canned animation blender, so one move to the next looked fluid and in some cases mixed and transitioned together. So EA sports has been pretty close to being in-line with Frostbite for a while. All i know is Frostbite is one hell of an engine for particle effects and blending with dynamic lighting. How this will affect gameplay, i have no idea.